If you live anywhere close to the Stillwater, Guthrie, Enid, Oklahoma area and are looking for a new or used Chevy Colorado, make the short 30 minute drive to Vance Chevy Buick GMC in Perry, OK. We may sound rural, but we know trucks! Check out our small town friendly service with a big city inventory. 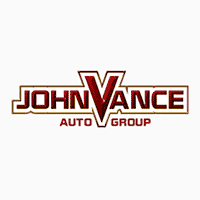 Vance Auto Groups have faithfully been serving Oklahomans for over thirty years, putting people in the perfect vehicle for their particular needs. The Colorado delivers all you need and want in a truck. Choose from three capable engines, including an available 3.6L V8 with best-in-class horse power and the DuraMax 2.8L turbo-diesel engine. The Chevy Colorado is America’s most fuel efficient mid-size pickup. Perhaps you’re searching for a versatile work truck or the sporty ZR2 that dominates the off-road. The Colorado is designed with innovative safety and technology features to keep you protected and connected wherever you go. Looking to tow something? The Colorado offers the best-in-class maximum available towing handling 7,700Lbs with the 2.8L Turbo diesel engine. It also boasts the best-in-class torque. The Available 3.6 V6 is the best-in-class maximum horse power with 308 HP. Its wider track offers more stability and its suspension was built for off road adventures. Tailor your personal Colorado to meet your unique lifestyle with dozens of accessories, from bike carriers to utility racks. Name your passion and this midsize truck will help you pursue it. The interior is refined and quiet with inlaid triple-sealed doors, thick windshields and windows and sound-deadening material to keep outside noise outside. Vance Auto Groups has nine full service dealerships which can offer a huge inventory of preowned Colorado trucks. Come to Perry, OK and test-drive the amazing brand new Chevy Colorado. We are committed to continuing honest friendly service to Oklahomans for thirty more years at least. Remember we are a quick 30 minute drive from Guthrie, Enid and Stillwater. Let us find the perfect Chevy Colorado for you.